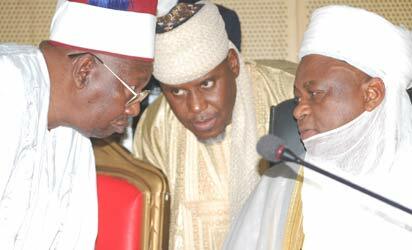 The Sultan of Sokoto and President General, Nigeria Supreme Council for Islamic Affairs (NSCIA) Alhaji Sa�ad Abubakar III, on Friday called on Muslim faithful in the country to begin their fast today, Saturday, June 28, 2014, following the sighting of the moon in various parts of Nigeria. The Sultan, who earlier assured that a formal announcement would be made immediately the moon is sighted, spoke through the Chairman, Advisory Committee on Religious Affairs of the Sultanate Council, Prof. Junaidu Sambo. According to him, the moon was sighted in Kebbi, Sokoto and other parts of the country. �There was delay in the confirmation because we were waiting and doing analysis to collate all our sources information. The moon was sighted in Kebbi, Sokoto, Katsina and other parts of the country and therefore, the Sultanate Council is hereby calling on all Muslim faithful in Nigeria to commence fasting today being Saturday as the first day of Ramadan�, the Sultan said.